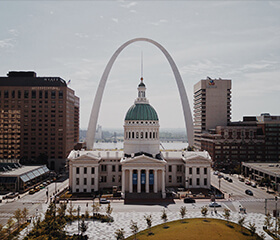 St Louis Party Bus is here to serve the St Louis and surrounding areas with the best transportation services in the entire state of Minnesota! It may seem like a lofty claim, but we’ve been successful for years for a good reason. When it comes to providing transportation in luxurious vehicles, you can’t go wrong with our services. After all, we’ve made it our direct mission to make our customers as happy as possible, and we believe we’ve done the best we can, considering our rate of return customers. Here at St Louis Party Bus, our chauffeurs are the most professional around, and that’s not an exaggeration! We’ve scoured the state for the best drivers, and we’re proud to have them. Not only are they extremely familiar with the area, they also carry a GPS to ensure your timely arrival. Our drivers are licensed and certified in every way possible, so you’ll never have to worry about your safety when you decide to book with us. Our vehicles are another plus to using our services, considering we have the best fleet around! All of our vehicles are kept clean and fresh, as well as damage free. When we call them party buses, we mean it, as they come standard with party amenities that are sure to get the party mood going strong. You won’t have to worry about safety, either, as our vehicles are inspected and maintained regularly, as well as insured to the fullest extent. Call or email us today to get the booking started! Need service in another state?